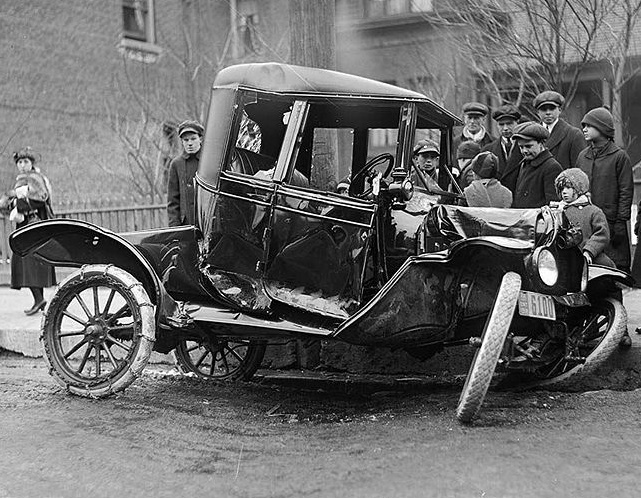 Auto accident in Toronto, Canada, 1918. Auto accident No. 1042 Bloor Street West near Walmer Road. Toronto, Ontario, Canada. 4 March 1918. Image Auto accident on Bloor Street West in 1918.jpg is from the City of Toronto Archives and available on the Wikimedia Commons as public domain.